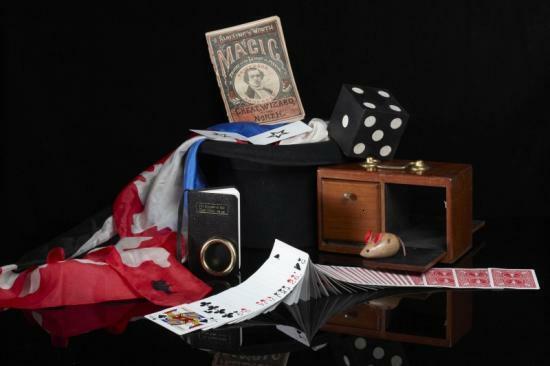 An exhibition giving a fascinating glimpse into the history of stage magic opens at the Swanson Gallery, Thurso Library this weekend (19th September). The exhibition pays homage to the close-up conjuror whose illusions can include anything from sleight-of-hand card tricks to the swallowing of razor blades and charts the history of the magician from the early days of the street entertainer - or pickpocket - through the exotic world of the music hall to today. On display is a variety of theatre apparatus, old and new, used in the performance of illusions, complimented by a collection of old and rare magic books. Bringing the exhibition into the 21st century is a film piece produced especially for the show by artists Graham Roger and Kevin Reid who take a very contemporary view. Many of the pieces on show are selections from two private collections, spanning over a century of conjuring memorabilia. This exhibition is a visual dip into what magic and magicians have given us, including some of the illusions which have over many years proven themselves to be classics and which are still being performed today all over the world. The Exhibition will be on show at the Swanson Gallery from 19th September until the end of October 2009, It will be visiting St Fergus Gallery in Wick on 19 January 2010.